The Dublin clip bag flapover in tan scrunchy leather measures 36x31cm, fully extended 46.5cm, the clipframe measures 27cm from the outside and 24.5cm from the inside and opens out to 14.5cm, the zip under the flap and the zip at the back measure 22cm, the base of the bag is 9cm by 29cm, the internal zip is 18cm and the handle extends to 128cm and minimises to 64cm, the width of the handle is 3cm. 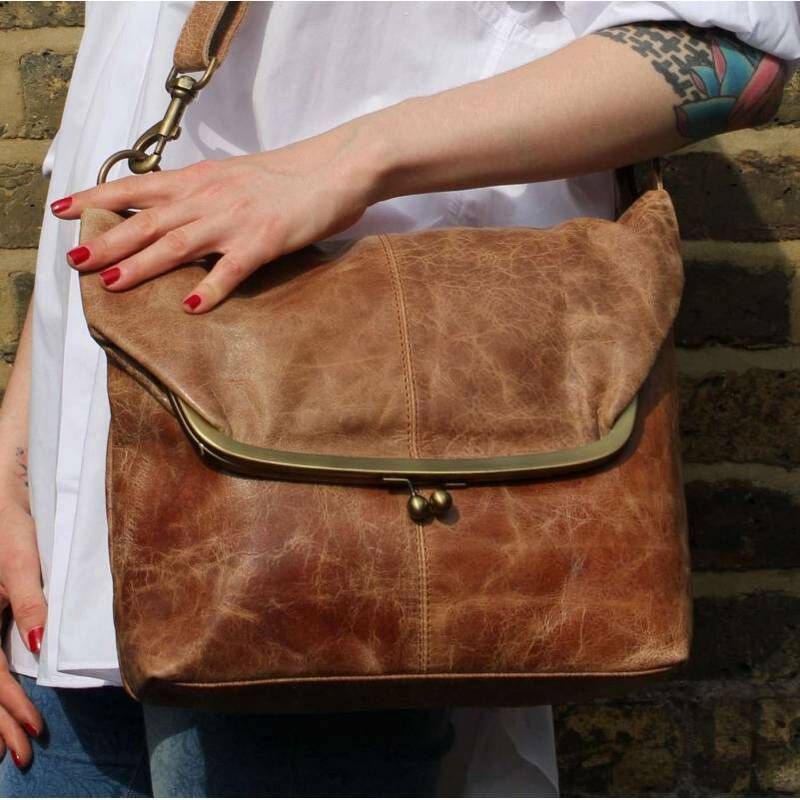 The lining is waterproof, the fittings are made of brass and the bag is a very versatile leather bag which can be worn across the body or as a shoulder bag. Dublin Medium is a versatile clip bag flapover medium in tan..